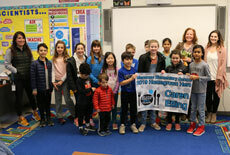 Meramec Elementary Nurse Caren Etling has been named the St. Louis District Dairy Council’s (SLDDC) 2019 Homegrown Hero for her commitment to making Meramec Elementary School a happier and healthier place for all students. Click on the headline to learn more and view photos. 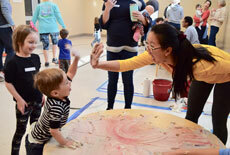 Clayton children and their families enjoyed making a mess at The Family Center on Saturday, Feb. 9, during the annual Messy Play event hosted by Clayton Parents as Teachers. Click on the headline to learn more and view photos. 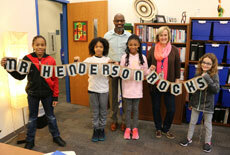 Meramec Elementary students celebrated National School Counseling Week by writing about the character traits of their favorite counselor, Mr. Henderson, and presenting their portfolio to him in a surprise visit. Click on the headline to learn more and view photos. 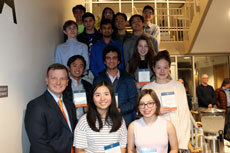 At its meeting on Wednesday, Feb. 6, the Board of Education honored the 23 CHS seniors who have been named 2019 National Merit Scholars. Click on the headline to learn more and view photos. 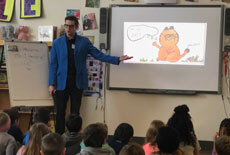 Meramec Elementary fourth- and fifth-graders and Librarian Jeri Lynn Palmer welcomed New York Times bestselling illustrator and author John Hendrix to their school on Thursday, Jan. 31. Click on the headline to learn more. 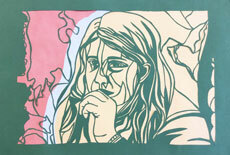 The artwork of seven CHS students has been accepted into the region’s largest, most prestigious high school art show: the St. Louis Artists’ Guild’s Young Artists’ Showcase. Click the headline to learn more and view the artwork. 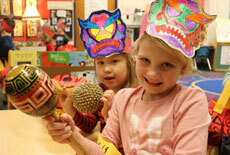 Captain Elementary kindergarteners celebrated the Chinese New Year and the "Year of the Pig” on Tuesday, Feb. 5, with the annual Chinese New Year parade. Click on the headline to learn more and view photos. 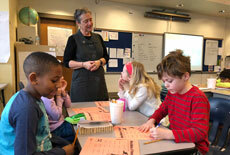 In celebration of National School Counseling Week, held from Feb. 4-8, click on the headline to read an article by Glenridge Counselor Rachel Spann about the important role counselors across the District play with student transitions. 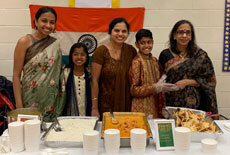 Captain Elementary students and their families were proud to display their heritage from 22 countries around the world at the school’s annual International Night held on Saturday, Jan. 26. Click on the headline to learn more and view photos.